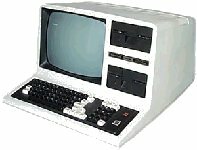 This less known TRS-80 model was the first to support CP/M out of the box, but was fully compatible with the more successful Model III. 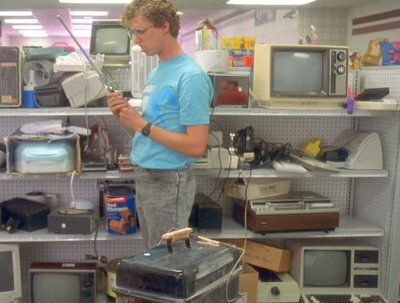 The TRS-80 lurks on a low shelf in the thrift store where Napoleon discovered the D-Kwon dance tape. 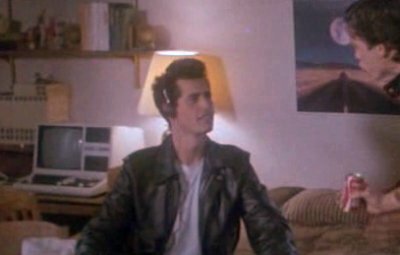 Lenny has a TRS-80 in his bedroom. 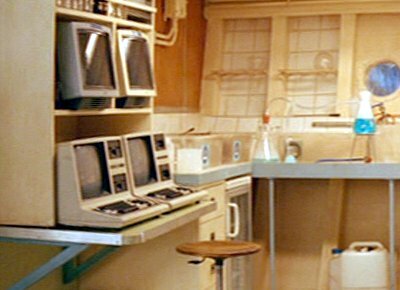 The science lab on the Belafonte is equipped with a number of TRS-80 computers. 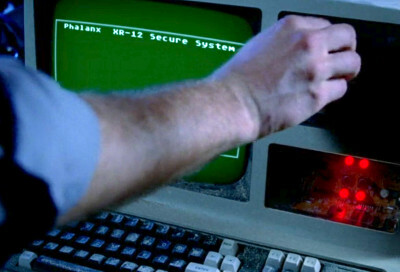 These machine are twenty years out of date. 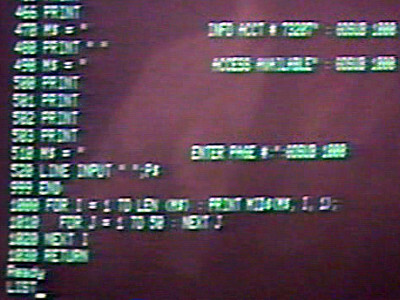 Ben uses the TRS-80 to control the robots during the demonstration at the beginning of the film. 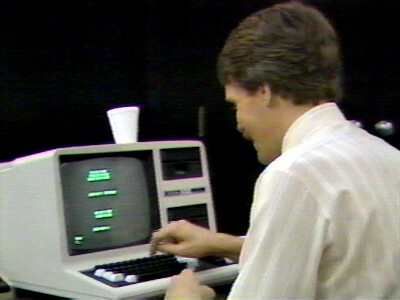 BA uses a TRS-80 Model 4 to check the identities of their potential clients. 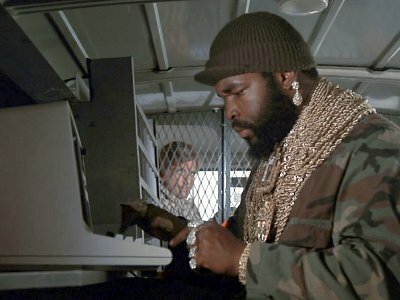 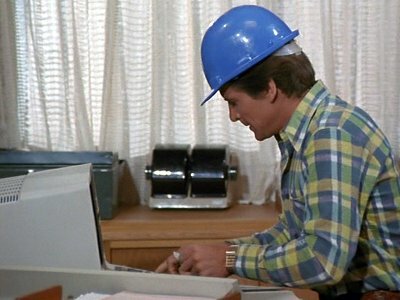 Face cons his way into the offices of the local phone company to look up the address of the bounty hunters on their computer system, a TRS-80 Model 4. 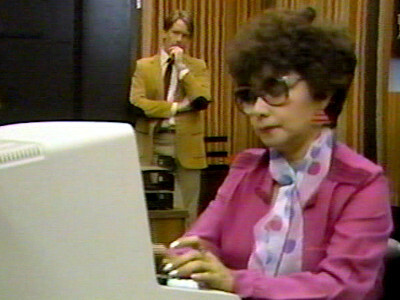 Paul's girlfriend Karen works for a newspaper that have a TRS-80 in their offices. 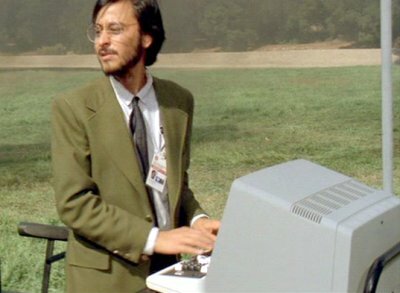 A TRS-80 Model 4 plays the part of a Phalanx XR-12 computer on which Chuck tries to read a disc that will prove his mother's innocence. 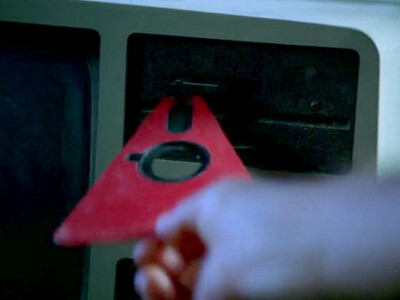 The Phalanx XR-12 computer takes rather ridiculous triangular disks. 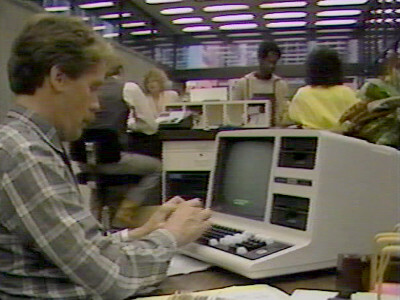 Dave uses the bank's TRS-80 Model 4 to make fraudulent loans. 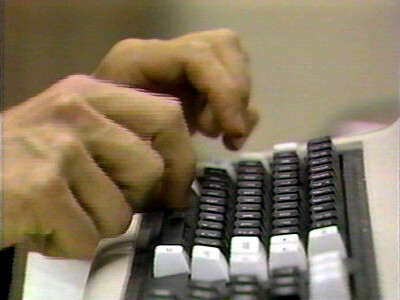 At one point, Dave just repeatedly types LIST, showing the BASIC program that had previously faked the log process. 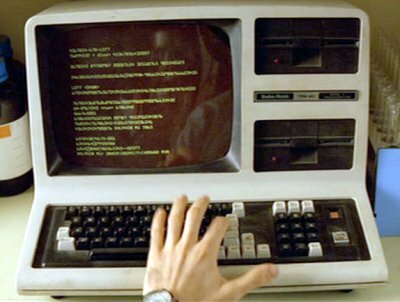 There is an TRS-80 Model 4 in Elyse's office.